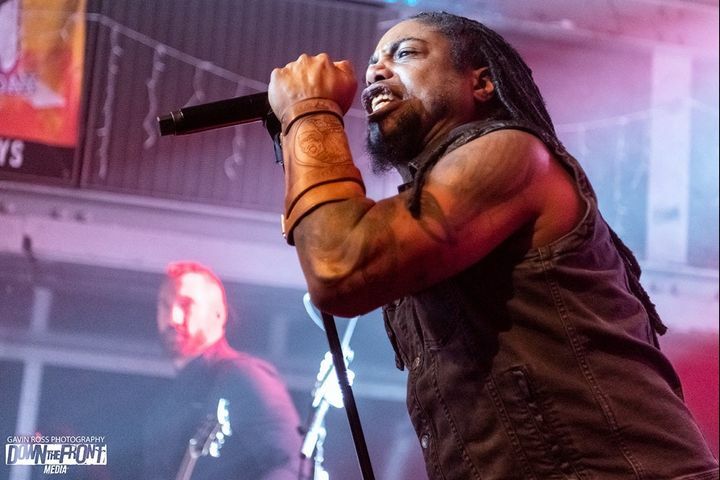 Sevendust on Tour with #Tremonti, #CaneHill, #Lullwater and #Kirra! If I am honest, I did not go into this show a huge Sevendust fan. I went for another band. That being said....they were Amazing!! Their energy was infectuous & it was palabable. They lifted the roof off the place. I am so glad I didn't miss them. The vocals were on fire he had this grit and bluesy tone I didn't expect. Their stage prescence as a whole was fantastic & from my vantage point one of the guitarists went and got some drumsticks for a couple of really young fans at the side of the stage seeing maybe thier first concerts with their Dads and that was awesome to see. Guess I am going to have to look into them a bit more. Music creates fans and live shows such as this makes new ones! Thank you for a fantastic night and wonderful memories. Every time I go to a Sevendust show, I feel the emotion of the band. Lajon tears up seeing and feeling the love of the crowd. The energy of the fans is so thick, it feels like we are one large organism for an hour and a half. I never have a Better time at any other concert than a Sevendust concert! I was just so happy to see such a packed house on account of the weather we ended up having that night. That just goes to show you these guys have loyal fans, me included. I love Sevendust and never miss a show if I can help it. They never disappoint and you can just tell the love is mutual. Can't wait to see them again in May! My 11yo daughter's first concert--SEVENDUST! What an amazing experience! WITHERSPOON, thanks for blowing her a kiss! I'm certain it's these little special memories that have the power to change the course of a life. Thank you for an incredible show! Awesome. Great time. Great energy. Loved Lajon and the guys. The other fans were great too. Helping me out when I accidentally ended up in a mosh pit. Recording video for me. Letting me get closer to the stage so I could see. Thank you for an amazing night!